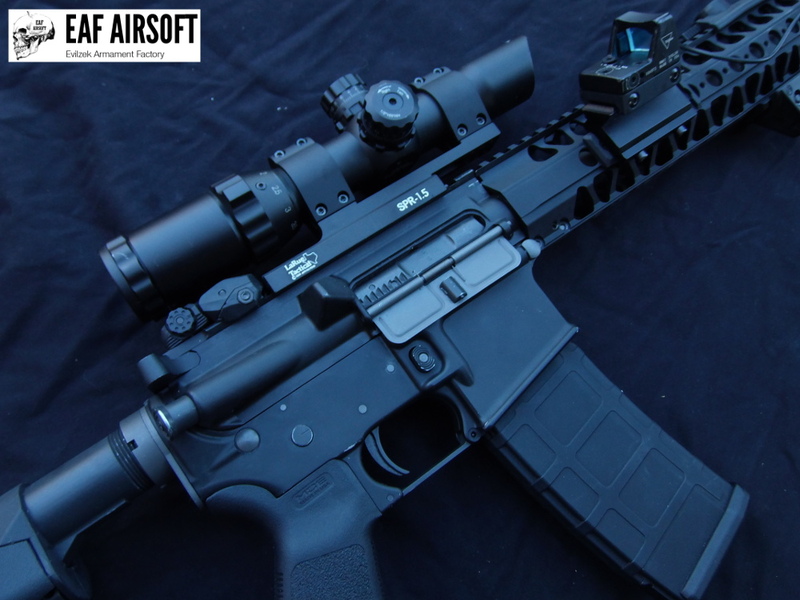 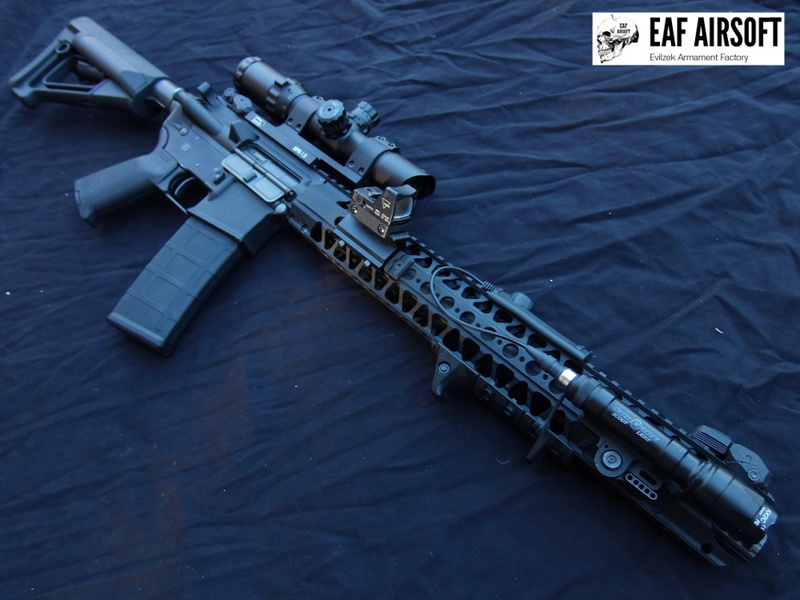 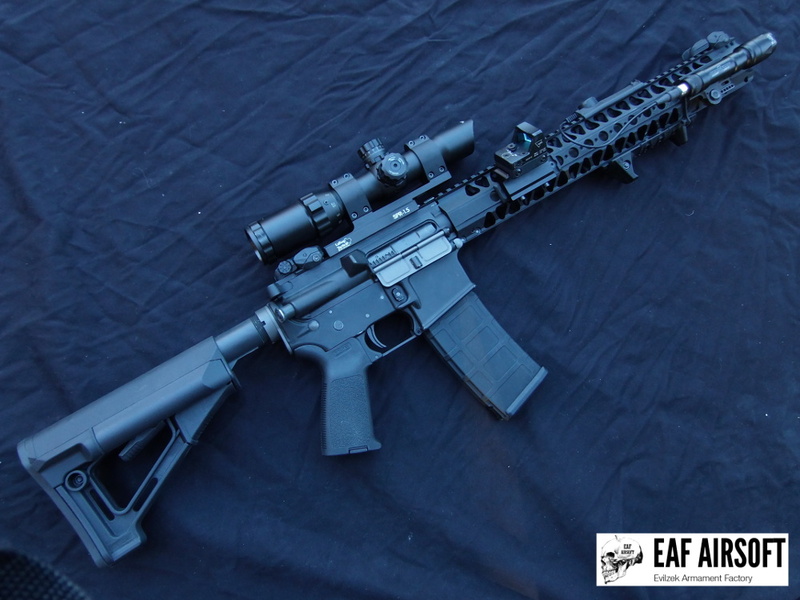 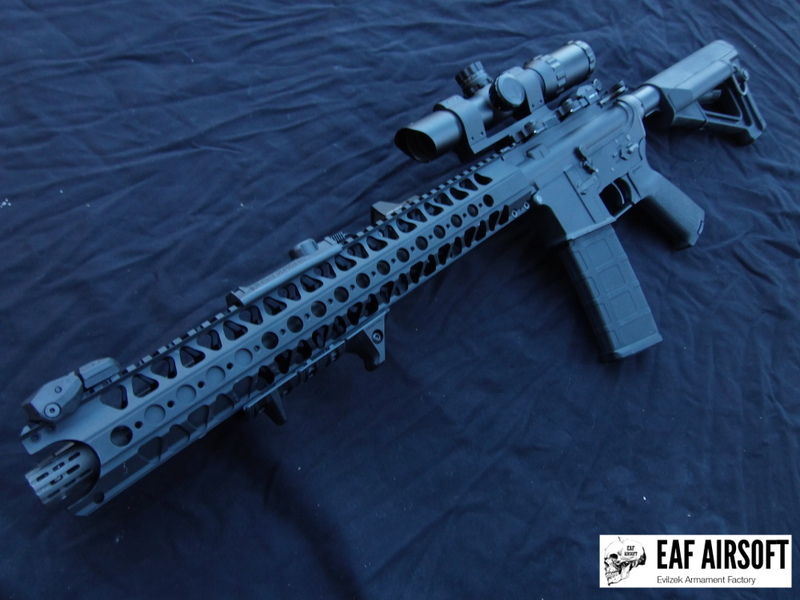 Angry Gun “LVOA” rail system 16,2″. 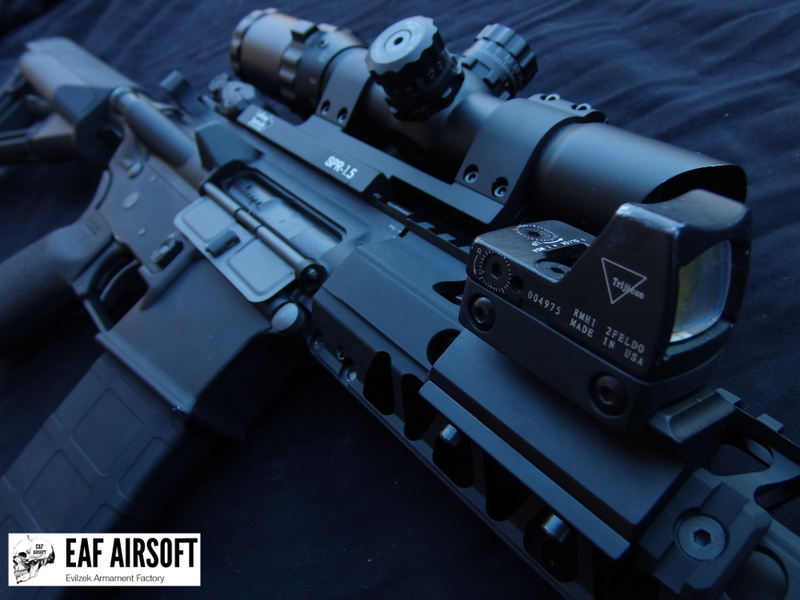 Night Evolution Dual function tape switch. 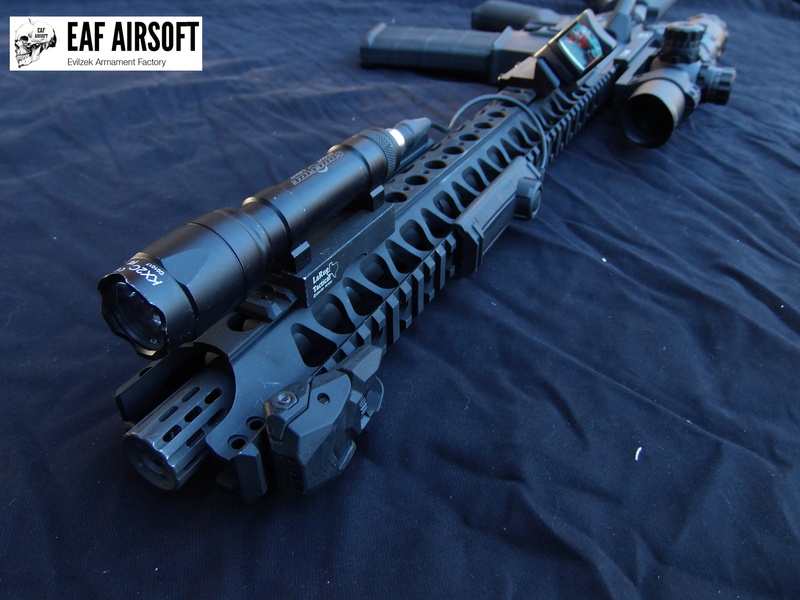 Big Dragon Battlecomp muzzle brake.